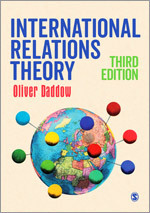 Through its introductory and higher-level textbook, handbooks, multi-volume reference works, and journals, SAGE’s Politics and International Relations list brings you the key research, explanations, debates, and guides, from the key thinkers in the field. With coverage ranging from Public Policy to Peace Studies, from Terrorism to Theory, from Globalisation to Governance (to name just a few), you’re sure to find something of interest. 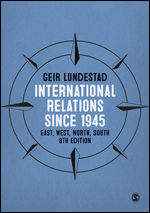 We hope you enjoy looking round our new Politics and International Relations page, on which we’ll be profiling new books, sharing news from our authors and conferences we attend, and highlighting the latest research in our journals. On 23 June Britain voted to leave the European Union. 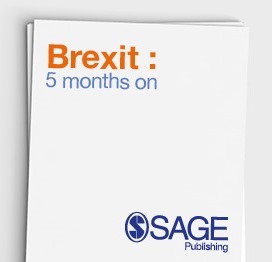 Five months on, SAGE is providing free access to a range of academic research which engages directly with the referendum, the potential impacts of Brexit, or gives a background on the UK-EU relationship. There are over 130 hours in the full Politics and International Relations Video collection, to support your teaching and your students’ learning.